Make your own iPhone 7 case with cork for great protection from scratches and drops. Using cork for your personalised iPhone 7 case gives your phone more grip so you drop it less. 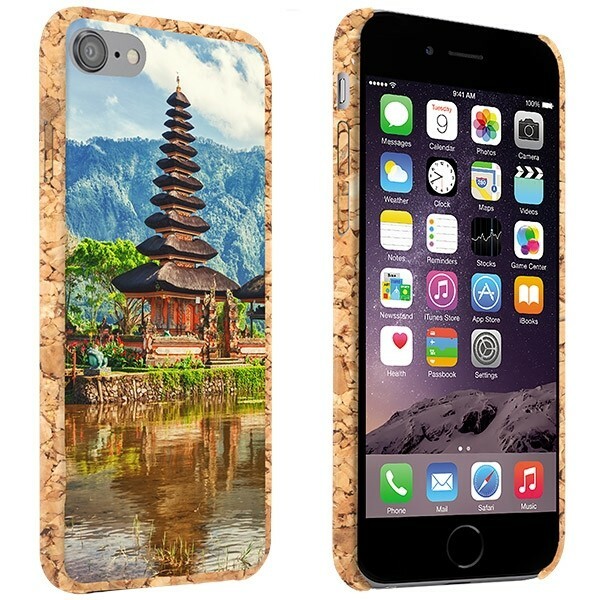 Design your own iPhone 7 cork case today provide your phone with natural protection. Why a personalised iPhone 7 case? Cork is light, durable for its weight and sustainable. This means that when you make a personalised iPhone 7 case from cork you are getting a product that doesn’t make your phone feel heavy while protecting from scratches and drops. Another way a personalised iPhone 7 case helps protect your phone is by giving you more grip, so your phone doesn’t slip out of your hands so easily. 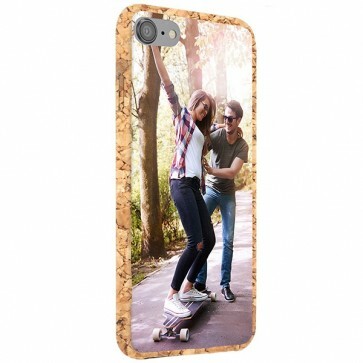 Cork is great but what is even better is that we still make it possible for you to customize your personalised iPhone 7 case with your own photos. You can make your phone unmistakably you, using your favourite pictures of design. Add your photos to this natural beauty now! How to design a personalised iPhone 7 case. It’s incredibly easy to design your own iPhone 7 case. So easy that it can be done in three short steps. First, select your iPhone 7 phone model, the cork case type and enter the customizer. 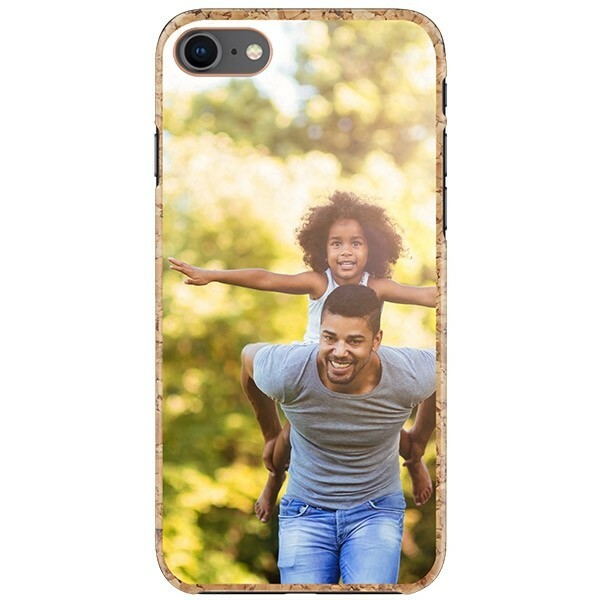 Then, upload the photos you want on your personalised iPhone 7 case and make any adjustment to color or sizing. Finally, add any logos, emojis or some text to your design to add a more personal touch. Finish your order and you will soon be the proud owner of a truly unique personalised iPhone 7 case. The process is so easy, what’s holding you up? Design your personalised iPhone 7 cork case today! What happens after you order your personalised iPhone 7 case? As soon as you complete your order we will give your design to our artificially aware robots to begin making. Just joking. We do use high-quality printers, but so far, they haven’t revolted. We’ll start making your case within 24 hours of order completion and human contact is very much a part of production. Our production staff selects the right case and places in into the printer. After printing, we check the quality of the print to make sure your personalised iPhone 7 case is the best it can be. Once everything is okay, we will package your case by hand and ship it to you.